Gabriel Saloman is a musician and artist based in Santa Cruz, California & Vancouver, BC. Saloman works as an artist, writer, curator and composer. He currently collaborates with Aja Rose Bond under the name Diadem and as The Strathcona Art Gallery / STAG Library. He is co-founder of the Lower Mainland Painting Co., an investigation into art, labour and art labourers. Since 2003 he has collaborated with Red 76 on such recent projects as “Fellow Travellers” for Manifesta 8 in Murcia, Spain; “Surplus Seminar” at the Walker Art Center; and “Counter-culture as Pedagogy” for CCA’s Wattis Institute for Contemporary Art. Past collaborations have also included ‘Power 2012′ at Unitt/Pitt in connection with Institutions by Artists and the Bronx Museum; ‘Second Home’ as part of the San Jose 2008 Zero1 Biennial; ‘The Battery Republic,’ part of Creative Time’s ‘Democracy in America’; and CCAD and the Bureau for Open Culture’s “Descent to Revolution.” Together with Sam Gould of Red 76 he is also the creator of the No War U.S.O. initiative, and leads the semi-annual Liberation Seder. 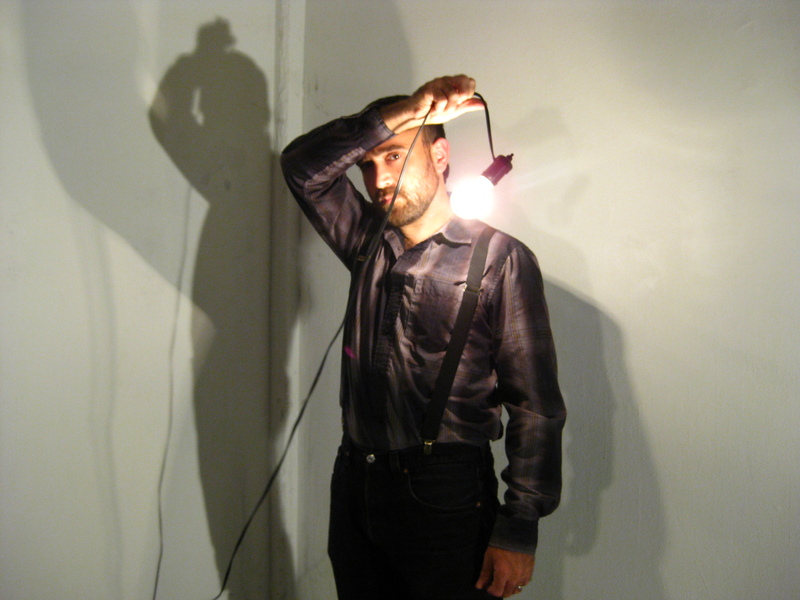 Saloman has been performing experimental, conceptual and freely improvised music for over 15 years. He is known for his work as half of Yellow Swans, a Portland based noise group that has released over 50 recordings and toured internationally over the course of their 9 year existence. He currently performs solo under his own name. His compositions stem from investigations into temporal abstractions, conceptual sound and gestural noise. There is a parallel concern with sound art as both liberating practice and praxis. Most recently he has been composing music for contemporary dance, including collaborations with choreographers such as The Contingency Plan, Daisy Karen Thompson, Lisa Gelly Martin, Rob Kitsos, 605 Collective and Vanessa Goodman. He has contributed writing to The Journal of Aesthetics and Protest; Occupy.com; SmallCaps; Breach Journal; “….” (Dots and Quotes); The Journal of Radical Shimming, issue #5 of which he co-edited; The San Francisco Bay Guardian; and various arts-related and independent online and print publications. In addition to essays and journalistic work, he has written and performed a series of lectures exploring epistimology as it relates to conspiracy and its mediation by technology. Saloman was also a co-founder of Collective Jyrk, an arts collective from Portland that produced zines, music recordings, experimental films, animations, an online gallery, and curated several exhibitions and events. Saloman received an MFA at Simon Fraser University’s School for the Contemporary Arts and is currently a PHD candidate at UC Santa Cruz in the History of Consciousness program. His current work focuses on the production of visual artworks from time-based phenomena such as sound composition, dance, social practices and protest.